This is a list of colleges and universities in Israel that provide courses in Human-Animal studies. The human-animal divide is one of the pillars upon which subjectivity has evolved throughout human history. Ecocriticism is a recent literary-critical tradition, centrally concerned with episodes of instability which haunt this divide. Ecocritics also traces the implications of this instability for reflective human beings regarding their own sense of human distinctiveness. In the seminar, we shall explore the interface between ethics and aesthetics that underlie literary representations of animals and animal-related practices. We will discuss, comparatively, potent literary descriptions of particular animals (tigers, horses, insects, dogs, apes). We shall also mine literary works for their implicit or explicit assumptions regarding nature. The program is meant to train professionals (with at least a B.A.) 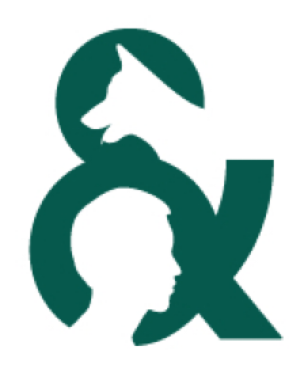 for Animal-Assisted Psychotherapy in various special needs populations (e.g. those in mental health settings, group homes for at-risk children and youth, hostels, schools, senior homes, etc.). This program is intended for college graduates (preference given to graduates with an academic background in areas related to therapy and/education), and those with a personality appropriate for conducting therapy. Academic training (totaling 1500 academic hours) includes theory courses and clinical workshops in three central disciplines: 1) Psychology and Psychotherapy; 2) Animal Studies; 3) the Human-Animal Connection and Animal-Assisted Psychotherapy. The program includes practical training, which constitutes a meaningful component in the training program. Each year, the student must participate in a field placement one day a week in one of various clinical settings, and must complete 400 hours, of which at least 270 must be direct therapy hours. The type of field training will be decided together with each student, who will be supervised both in individual and group settings by experienced professionals in the field. Email Nancy Parish for more information. The natural environment is situated in early anthropological writing, as it depicts the main lines of the ‘culture’ category and deconstructs ‘humanity’. Yet, in recent decades, different social-cultural environmental struggles and animal rights activism, the effect of pets on their keepers and climate change shed new light on the classical anthropological binary ‘nature/culture’ and provoke critical thinking about the role that humans play in the ecological system (and its deterioration). This course is an introduction to the field of ‘human-environmental relations’ in anthropology. Through documentary films, guest lectures and an educational field trip, the course will focus on a broad range of subjects, to name a few: local culture and knowledge as tools for understanding ecological changes, politics and ecology, animal rights and veganism, conservation and environmental justice, zoos and conservation of endangered species, pets and anthropomorphism, etc. Since the dawn of civilization, humans have used non-human animals in different ways: as food, protection, beasts of burden, and so forth. The aim of this seminar is to introduce students to the anthropological study of human-animal interactions and the contact zones between human entities and beyond the human entities. It will provide theoretical and methodological tools to research the social construction of animals in various societies and cultures and to critically thinking about human-animal relations. For example, we will ask ‘what is human in animals and what is animalistic in humans?’. Moreover, it will focus on current anthropological research that examines the everyday material interactions between species. The David Yellin College animal-assisted therapy training program is the oldest in Israel, and the only one certifying its graduates as both Senior Special Education Teachers and Animal-Assisted Therapeutic Educators. Goal: Acquiring skills and treatment methods to elicit meaningful change in the child’s world through interaction with animals in their native habitat. Study Subjects include: Education, psychology, zoology, veterinary medicine and ethics. Studies consist of practical work and extensive individual and group clinical instruction by psychologists and field experts. Minimum admissions requirement: bachelor’s degree from an accredited higher education institution. The School for Advanced Studies of Kibbutzim College of Education offers a wide range of certificate programs for the personal development of educators and administrators in therapy training and art, coaching, group facilitation and more. “Animal Assisted Therapy” uses the help of animals to create an emotional connection between the patient and the animal and through this allow the therapist to reach into the patient’s world and help with the various struggles and hardships the patient is dealing with. The technique is used on both children and adults with physical disadvantages, emotional struggles, and behavioral issues. Since the animals aren’t able to speak, they act as a great sponge, allowing the patients to “take out” their problems and through this deal with oppressed emotions. The therapy sessions can take place in several places, in the animal’s territory, in the therapist’s room, in a horse riding arena, in a pool and so forth.